There is nothing like the smell of a great tomato sauce on the stove. Bubbling away for hours and teasing you by taking its sweet time getting delicious. And then, the magic. A meaty and gorgeous sauce over silky noodles is heaven and so perfect for a winter meal. 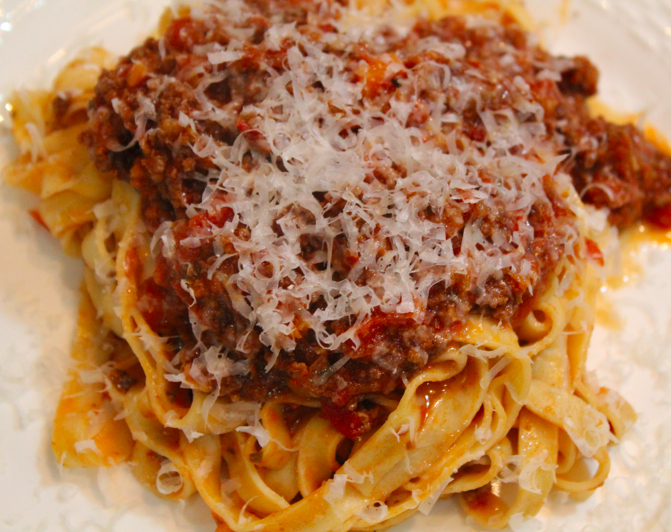 This bolognese is one of my favorite for a few reason. One being that it makes a huge pot that freezes well and can be served for months. It also does not require a ton of ingredient, but does include some vegetables for depth and health? ha It is great on pasta, served in a big bowl with crusty bread, or even on top of soft polenta. Time to tuck in. Note: You could easily put this in the slow cooker to bubble as well if you cannot man the stock.